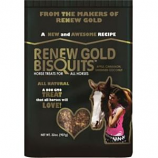 • Treat Your Horse To Oven-Fresh, Baked Cookies That Are Enriched With Healthy Ingredients. • Your Faithful Companion Will Love The Great Tasting Cinnamon Flavor Of Hoof Snax. • They Are Made From Only The Finest Human-Quality Ingredients. • Hoofsnax Are Designed To Provide A Nutritional Treat Or Reward For Horses. • They Will Not Imbalance The Normal Ration. • Feed 2 Ounces (7 Cookies) Daily To Provide 20 Mg Of Biotin. All natural. Non GMO. Baked with added apple cinnamon and shredded coconut. . .
• Tasty Bite-Sized Peppermint Flavored Nuggets Are The Perfect Way To Provide A Nutritious Reward After A Ride Or Competing. 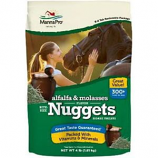 • Manna Pro Bite Size Apple Flavor Nuggets Are Designed To Provide A Nutritional Treat Or Reward For Horses. • Bite Size Nuggets Will Not Imbalance The Normal Ration. • Feed Up To 2 Pounds Per Head Per Day. • Do Not Over Feed Or Offer Free Choice. • All Natural Crunchy and Delicious Oven Baked Treat For Horses and Ponies. • Great As A Treat Or A Reward. • Flavored With Fresh Peppermint Oil. • Mint Shaped Biscuits In Bite Sized Pieces That Fit Easily In A Pouch Or Pocket. • Place Treats In Your Horses Grain Bucket Or On Top Of Hay, Or By Hand For A Treat Or A Reward. • A Treat Horses Love Without Excess Sugar. • Natural and Irresistibly Horse and Pony Treats. • Small Shaped Biscuits In Bite Size Pieces That Fit Easily In A Pouch Or Pocket. • Ginger Ridge Treats Are Delicious, Natural, Multigrain Biscuits Made Especially For Horse S and Ponies. • Each Package Is Nitrogen Flushed To Ensure Freshness and Extend Shelf Life. • Wonderful Blending Of Natural Anise and Orange Oils Creates A Delicious New Twist On Flavors Long Favored By Horses and Pony. • Place Treats In Your Horses Grain Bucket On Top Of Hay Or Feed By Hand As A Treat Or Reward. • Treats Are Free Of Colorings, Flavorings and Preservatives That Can Irritate A Horse S Sensitive Digestive System. • Has A Wonderful Aroma Of Homemade Muffins Fresh From The Morning Oven. • The Carefully Shaped Biscuits In Bite Size Fit Easily In A Pouch Or Pocket. • Made Without Excess Sugar. • For Intermittent Or Supplemental Feeding Only. • Your Faithful Companion Will Love The Great Tasting Cinnamon Flavor Of Flaxsnax. • Flaxsnax Are Designed To Provide A Nutritional Treat Or Reward For Horses. • Feed 2 Ounces (7 Cookies) Daily To Provide 3 Grams Of Omega-3 Fatty Acids.